Keep the area around the fire pit free from items/wood/debris that someone could trip over. Keep the areas surrounding the fire pit clear of brush, dead vegetation, or dry vegetation. A good rule of thumb is to allow for a 10- to 20-foot circle cleared of flammable vegetation around the fire pit. If a fire pit accident does happen, this will prevent the problem from escalating. Do not place the fire pit under low-hanging trees. Purchase a spark screen for the fire pit, and use it every time to avoid fire pit accidents. Do not use lighter fluid to start the fire pit. In the event of a fire pit accident, the presence of lighter fluid can allow the flames to spread very quickly. Protect yourself and your family from wood fire pit accidents by using a log grabber or poker whenever the fire pit is ignited. Keep a fire extinguisher and garden hose easily accessible while using the fire pit. If a spark escapes through the screen, the fire extinguisher and garden hose can prevent fire pit accidents from spreading. I could never cause $100,000 of damage…. could I? Yes, and then some. Part 4 of the Massachusetts Auto policy is Property Damage. It pays for anything you damage whether it’s another car, a fence, a fire hydrant, telephone pole or anything else. We see many polices that only have limits of $25,000 or $50,000. This is scary. Most of these people have no idea because they either bought their insurance online or they haven’t looked at their polices in a long time. Why do we recommend limits of $250,000? In most cases it cost $3 per year (yes $3!) to increase the coverage from a $100,000 to $250,000. You could get into an accident where the claim for the damage to another vehicle, truck or trailer costs more than $100,000 to replace. It’s not unusual to see cars on the road that cost over $100,000. A typical Kenworth Tractor (vehicle that pulls a Trailer you see on the highway) cost around $150,000 never mind the Trailer and what’s inside the Trailer. What happens if I don’t have enough coverage to pay for all the damage that I caused? Your insurance company will pay for the amount of damage up to the limit you purchased on your policy. That’s it. Then one day when you come home from work and open up your mail and there will be a bill for the difference. Not a good day. Once you call your agent and ask them how much it will cost to increase the limit to $250,000, they will tell you with a soft mumbled voice… $3 per year. When your agent recommends coverage of $250,000 to you, they are not doing it for the extra 30 cents commission, they are doing it because it’s the right thing to do to properly to protect you and your assets. 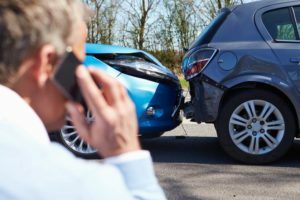 What is Accident Forgiveness and Why do I Need it? The Accident Forgiveness endorsement has been around for approximately ten years. It’s scary how many policies we see that don’t have it. What is does is simple: Your current insurance company agrees not to charge for an at fault accident going forward. Without the Accident Forgiveness endorsement you would have to pay a surcharge on your policy costing you hundreds of dollars or more per year. It’s a very worthwhile investment. Typically, it’s either automatically included in the cost of the policy or you can add it for $25.00-$50.00 in most cases. Not all companies in Massachusetts offer Accident Forgiveness – Geico and Progressive are two of the companies that don’t and there are others as well. Not everyone can purchase this endorsement. Depending on the Insurance Company, you’ll need to have a clean driving record for the last X (they all differ) number of years. Some allow you to have one moving violation during that time and others don’t. Some won’t let you buy it until you’ve been with them for a certain number of years while others don’t. Most require you to be driving for at least six years. By Massachusetts law you will still be “Surcharged” for any at fault (if you are found to be more than 50% at fault) accident. The insurance company agrees NOT to charge you for it. If you change insurance companies, the new company will charge you the surcharge because it’s on your driving record. The prior insurance company just agreed to forgive the surcharge not the new company. When your agent recommends Accident Forgiveness coverage to you, they aren’t doing it for the extra $2.50 commission.They are doing it because it’s the right thing to do and if they didn’t you would question them as to why you didn’t have it or at least offered it to you. If you are planning to travel by car this summer, take these steps to help avoid ending up on the side of the road: Make sure your car is in good shape so it won’t break down, A properly maintained car gets you where you want to go, and saves you money getting there. Radiator: Overheating is the number one cause of summer breakdowns: Make sure your radiator is adequately filled with coolant at the right concentration: usually a 50/50 mix of water and antifreeze, but check your car’s specifications. The radiator should be flushed every two years. If it hasn’t been serviced, do so before you hit the road. Check your dashboard temperature gauge while driving, if it moves into the red, you’re going to have to turn your motor off or risk damage. If your engine temperature starts creeping up, try turning your air conditioning off and your heater on — all the way up. You may get hot, but you might save your engine while on your way to get a professional’s help. Hoses: Your coolant is only as good as the hoses it flows through; Look for leaks, cracks, peeling or separation. While the engine is still warm, squeeze along the hose’s length — it should feel firm, but not hard. If the hose is spongy or soft, even in one section, consider replacing it before it fails and causes bigger problems. Oil: The hotter the weather gets; the more important oil becomes. Oil helps prevent overheating by lubricating many moving parts. However, oil additives break down over time. Oil change recommendations are as frequent as every 3,000 miles, but makers of many modern cars say to wait until a maintenance-reminder light brightens your dashboard. *According to the Car Care Council, “Though having to only change your oil every 7,500 miles is something we would all prefer, 3,000 to 5,000 miles are numbers more representative of actual driving conditions. By erring on the side of caution, you’ll help to extend the life of your car.” Check your oil between changes and add a quart or two of your car manufacturer’s recommended grade, if needed. Many auto parts stores offer free battery testing. Check your battery to make sure the posts and connections are free of corrosion, a white powdery residue. If it’s not a maintenance-free battery, make sure its cells have plenty of water. Air Conditioning: A marginally operating air-conditioning system may fail in hot weather. Put a thermometer in your car’s vent while the air conditioner is running and see how cool the air is getting. If it’s not cooling properly, you may try replacing cabinet filters that clean the air entering the heating and air-conditioning system in newer cars. Check your owner’s manual for location and how often they should be replaced. Tires: Your four tires offer a critical connection to the road; check them at least monthly: Low tire pressure adds rolling resistance, making it harder for the engine to move your car. Under-inflation stresses a tire’s internal fabric and steel cord so they flex beyond designed limits and lose their bond to the rubber. The result can be a blowout. Proper tire pressure, which should be posted on your car door, improves gas mileage by 3.3%, or about 10 cents a gallon, the council says. Don’t wait for your car’s tire pressure monitoring system to light up, as it may be too late to save the tire: instead, check air pressure when the tires are cool — summer weather and friction can cause the pressure inside to rise, giving you a false sense of security. *Also, check the tire tread by inserting a penny: If you can see all of Abraham Lincoln’s head, it’s time for new tires. If the tires look unevenly worn, have your wheel balance and alignment checked. Check the brakes: If you notice pulsations, grabbing, noises or longer stopping distances when braking, it may be time for repairs. Change the wipers: Windshield wipers deteriorate faster in sunny weather. If you get caught in a summer shower, you’ll want to be able to see where you’re going. Many auto parts stores offer free installation when you buy new wiper blades. Wash and wax:Sunlight, UV radiation, acid rain, salt, dirt and air pollution can damage your car’s exterior. Help protect the paint and finish by washing and waxing your car regularly. Keep a safety kit: In case your car does break down, be prepared with supplies, including water for yourself and the radiator, jumper cables, a flashlight and batteries, and a first-aid kit. *And if your car is beyond repair, remember to check your credit before you go shopping for a new vehicle: a good credit score generally qualifies you for the best terms and conditions on an auto loan and can save you a lot of money on interest. Are You Buying Your Auto and Home Insurance Through Your Employer? Are you buying your Auto and Home Insurance through your Employer where you get a group discount? Is it really an “Employee Benefit?” – Most times is not even close. Most people think that when you buy Auto and Home Insurance through an Employer sponsored group they get a discount. It’s true that they do get a discount. Most times they get a discount off of a policy that is ridiculously high to begin with. 5-10 percent off of outrageously high is still outrageously high!! Store A and Store B are selling the same exact item. Store A is selling it for $7. Store B is selling it for $10 but you a coupon for 10% off. Which one would you buy? Exactly! In a lot of cases most larger employers offer Group Auto and Home Insurance via Payroll Deduction. Employees have a few different things taken out of their check every pay period. Various Taxes, Health Insurance, Retirement, Auto and Home Insurance and the list goes on. Most employees have no idea that they what they are really paying since it is taken out of their paycheck. The three largest writers of Group Auto and Home Insurance that we see are Travelers, Liberty Mutual and Metropolitan. Let’s take Home Insurance for example. These three companies are some of the highest priced homeowners polices in the market today. Not only is the pricing high, we very rarely see any other coverage’s except the usual Replacement Cost on the Building and the Contents. With Metropolitan instead of having a $500 or a $1,000 deductible if the wind blows Shingles off you roof, you have a 2% deductible. 2% of what? It’s 2% of the amount of insurance on the Home. Lets say your home is insured with a $500,000 limit of the building. Now if the wind blows shingles off your house, your deductible isn’t the $500 or $1,000 you think it is-it’s $10,000. Yikes! Oh don’t forget, this is an “Employee Benefit”. Really? We insure many people who work at Dell/EMC and many other companies all over Massachusetts. The employees who come to us are blown away by the cost savings and the extra coverage’s that we include. The saying is true- It doesn’t matter who insures you until it does! Why do my Auto Insurance premiums continue to increase? Three simple words: Texting and Driving! You knew the answer…..didn’t you? Regardless of where you buy your Auto Insurance, rates have gone up and will continue to increase. Smartphones have made it easy for us to stay connected at all times. But that can pose serious safety risks if someone decides to check his or her text messages, emails, phone calls, or any other mobile applications while driving. At any given time of day, approximately 660,000 drivers are attempting to use their phones while behind the wheel of an automobile. Of these, 1.6 million have a cell phone involved in them. That’s 64% of all the road accidents in the United States. Over half the road accidents in the U.S. have cell phones involved, and if this doesn’t make you realize just how potent it is, what will? 48% of kids in their younger teenage years have been in a car while the driver was texting. Although, we can’t mitigate all distractions while in the car, you can take a few precautions to make sure you aren’t contributing to the problem. As soon as you get in your car, turn the sound off on your phone and any other device that may distract you. If you don’t hear the ping of a new text, email or Instagram Like, you won’t be as tempted to find out what is happening in your digital world. If you can’t easily reach it, you won’t be as tempted to use it. If you are that desperate, that’s an even bigger sign that you need a digital detox. Put it in a bag, in the back seat or the trunk and enjoy the drive. Let anyone who may contact you know that you are driving and you’ll be unreachable until you arrive at your destination. If they don’t contact you, you won’t need to respond back. There aren’t many times during the day that you can completely shut-off. Use your drive time as a time to disconnect and decompress. Take a break from your devices and take a deep breath. It will make a safer drive for everyone and you’ll feel happier and more relaxed when you arrive at your destination.